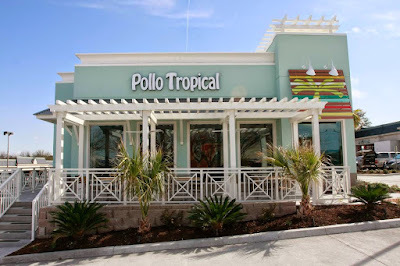 Miami, Florida-based Pollo Tropical is proposing to open a new freestanding location in Tucker. The restaurant would be built in an outparcel of the existing Target store, at the corner of Northlake Parkway and LaVista Road, just off I-285. As it stands now, the restaurant would be part of the City of Tucker. The restaurant and accompanying drive-thru must still receive council approval for the proposed SLUP (Special Land Use Permit). The Northlake area has welcomed a number of new casual and fast casual eateries over the past few years including Chipotle Mexican Grill, Chick-fil-A, Panda Express, Bojangles', Uncle Maddio's Pizza Joint and Hudson Grille. Pollo Tropical has been expanding its presence since re-entering the Atlanta market in 2011. There are currently seven locations open in metro Atlanta. There are currently new Pollo Tropical restaurants scheduled to open later this summer in Buford, Woodstock and East Cobb. The Buford location, on Buford Drive in an outparcel of Sam's Club, is currently scheduled to open August 14th. The Woodstock location, near the corner of Molly Lane and Highway 92, is to open the following week on August 21st. The East Cobb location, which replaces a former Shell gas station at Parkaire Landing shopping center on Johnson Ferry Road, is slated to open September 4th. Having visited each of the upcoming locations, I've seen that they will all sport variations of the chain's new "Big Blue" Caribbean-style building. The new style debuted locally at the opening of Pollo Tropical Johns Creek earlier this year. In addition to the aforementioned locations, as I reported earlier, Cabana Grill, a sibling restaurant from Pollo Tropical's parent company Fiesta Restaurant Group, will soon be converted. The Cabana Grill is located on Scenic Highway and has been open for a little over year. As of last week, there was no timetable available for the planned conversion. Late last month following Fiesta's release of quarterly results, the company's CEO announced that they would open more locations than previously planned this year. “We are expecting our largest number of restaurant openings in a single quarter this quarter, 15 Pollo Tropical restaurants,” said Tim Taft, CEO and president of the Addison, Texas-based Fiesta. "Of the planned 30 to 32 restaurants (for the year), six are planned for Atlanta." With the Johns Creek and Austell locations having opened in February and March respectively and the aforementioned three restaurant slated to open this month and next, it looks like Snellville would round out the quarter. Given the Tucker location is still very much in the planning progress, I'd wager it won't open until the first quarter of next year, if approved. Where would you like to see a Pollo Tropical open next? Have you tried the LTO (limited time offer) Chicken Avocado Club Tropichop? If so, did you like it? What is your favorite fast casual restaurant, why? 1. The chicken avocado club tropichop is delicious, just like the rest of their offerings. I'd pay big bucks for a jar of their polo polo sauce. 2. Please open in Sandy Springs. Roswell Road on either side of 285 would be ideal, or even a bit south near Roswell and Weiuca. PLEASE. I think it was 1996 that the Pollo Tropical closed North Druid and Lavista. I was very excited when they returned to the market, but with no ITP locations only gone sporadically. Food is great, very excited to have one closer to home. They are easily one of the best fast casual chains in the market. Uh-oh, me thinks your use of quotation marks in the article title probably made that little crybaby from the Walmart post angry again! Yikes, how would you get in and out of that spot? It's a nightmare leaving Target if you have to turn left on Northlake Pkwy. Interestingly enough… If you do an image search on google for Tucker Meridian shopping center you will discover a picture of some outbuildings and clearly in blue behind it is a Pollo tropical building on the corner of the lot closest to the cell phone tower maybe they've changed sides of the street? Also the plans for the Tucker Meridian show at least one other drive-through… Could be a drive-through Starbucks? Terrific! Just what we need in the Northlake Parkway-LaVista Rd. area.. more traffic congestion!!! This would be great. I think they should re develop the former steak and ale into some luxury apartments or a Buffalo Wild Wings or something across the way along with this.